Our Paper Engineer is starting something new starting from Wednesday October 30th! 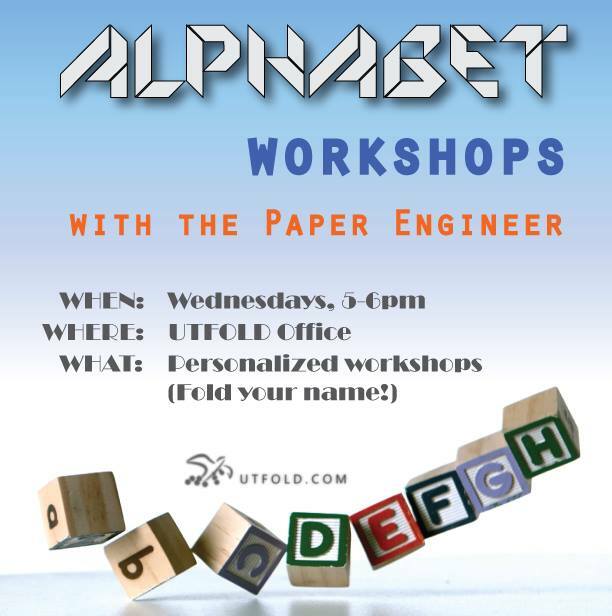 Michael Mao, our Paper Engineer, will be teaching a personalized workshop on Alphabet Folding every Wednesday from 5p.m – 6p.m starting from October 30th. The location is at our very own club office located at Sussex Clubhouse (21 Sussex Ave) Room 532. An awesome example folded by our Paper Engineer Michael Mao. These origami alphabets are fun to fold and is a good opportunity to see our office and meet our execs. The workshop is intended for those members with some experience of folding, but it is not a must if you are a fast learner or dare to take the challenge. If you are interested, please register for this workshop HERE as there is a capacity limit. Thank you all again for your consistent interest and support! See you all soon!